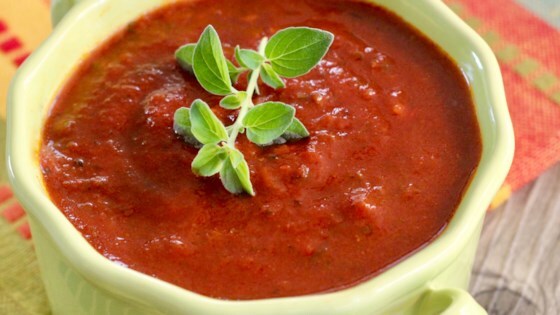 "This is a rich, flavorful red enchilada sauce. Pour over your favorite enchiladas and you're all set." Heat the oil in a large saucepan over medium heat. Add the garlic and saute for 1 to 2 minutes. Add the onion, oregano, chili powder, basil, ground black pepper, salt, cumin, parsley, salsa and tomato sauce. If you really like Mexican food, authentic Mexican food, don't use this recipe. It tased more like an Italian sauce, nothing near an enchilada sauce.